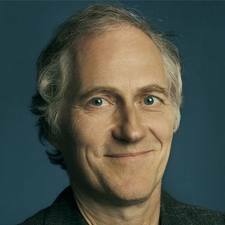 Tim O’Reilly is the founder and CEO of O’Reilly Media, thought by many to be the best computer book publisher in the world. O’Reilly also hosts conferences, including the O’Reilly Open Source Convention, Strata: The Business of Data, and Tools of Change for Publishing. O’Reilly’s Make: magazine and Maker Faire have been compared to the West Coast Computer Faire, which launched the personal computer revolution. Tim is also a partner at O’Reilly AlphaTech Ventures, O’Reilly’s early stage venture firm, an adviser to Code for America, and is on the boards of Safari Books Online and PeerJ. Tim “watches the alpha geeks” to determine emerging technology trends, and uses his platform for advocacy about issues where the future of technology intersects with public policy. His constant injunction to the tech world is to “work on stuff that matters.